Location was great. Pool was good. People were friendly and helpful. Great location. Excellent breakfast and large rooms. Excellent value for money. 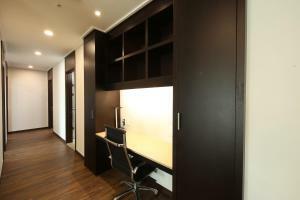 Size and quality of apartment excellent, with so much storage space! very well appointed kitchen. Attentive house keeping staff. Good range of breakfast food. Family used pool and playroom. Really well situated near 3 subway stations and close to palaces and Gwanghwamun area as well as Insadong itself. Very happy to recommend. Our apartment was huge with an office, a dressing room, 2 bedrooms, living room, kitchen, laundry room and 2 bathrooms. The bed was very comfortable and the bathroom was spotlessly clean and very well equipped. Amazing location. Close to a lot of metro stations and great to be in Insa-dong. Lots of restaurants nearby and cafe downstairs (10% off for hotel guests). Price was good for location. Fully stocked kitchen - large fridge, oven, stove, microwave, oven dishes, pots, fry pan, knives, plates, cutlery. Only missed a chopping board. Loads of storage space. Great bath and shower. We stayed for 5 days and had breakfast for four of these. There several western and typically 3 or 4 Asian options. The Asian options changed every day and, in general terms, were better at the weekend than during the week. Overall, however, breakfast was good quality and quantity and well serviced by the staff. There is a sauna (wet and dry), onsen (hot and cold) and a swimming pool. Sauna/Onsen are unisex, the pool is mixed and clothing must be worn. Very good quality and very enjoyable. 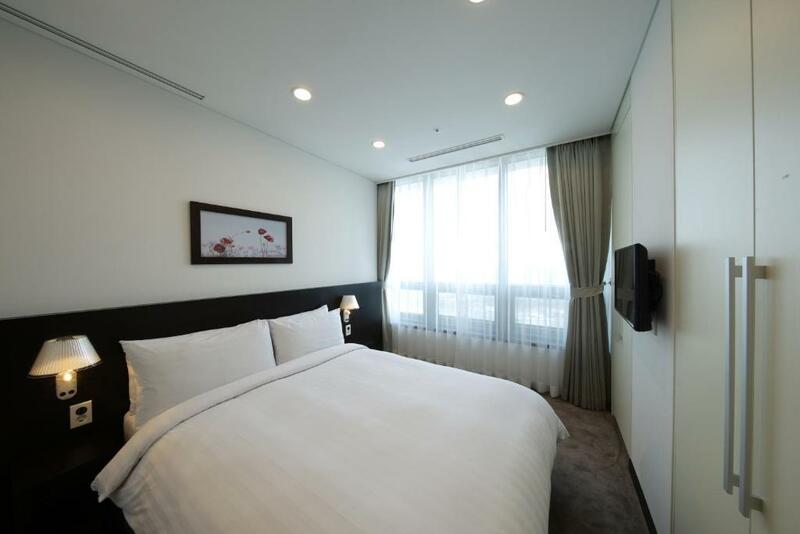 Lock in a great price for Orakai Insadong Suites - rated 8.9 by recent guests. 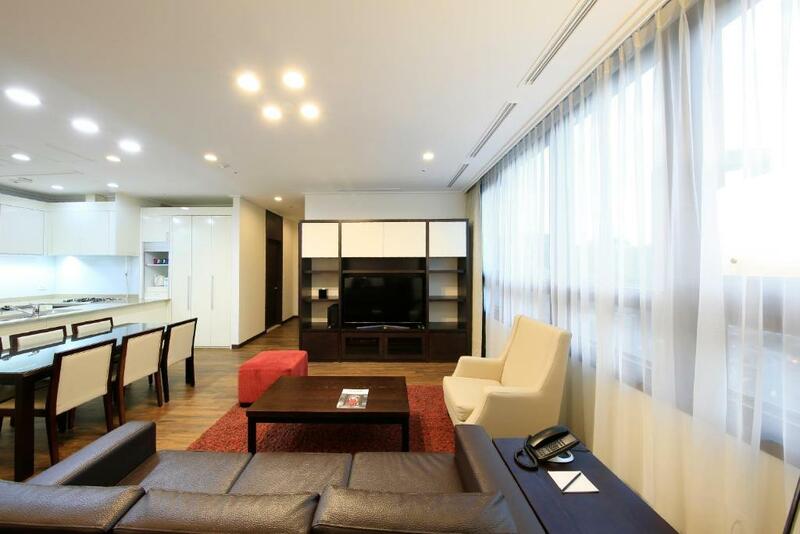 One of our top picks in Seoul.Centrally located in Orakai Insadong Suites offers luxurious self-catering apartments with a well-equipped kitchenette and satellite TV. Facilities include an indoor swimming pool, fitness centre and sauna facilities. Apartments are spacious and well-equipped to provide all the comfort of home. They feature wooden flooring, and luxurious décor and furnishings. They have a DVD player, ironing facilities and a washing machine. All rooms are controlled by central cooling and heating system. 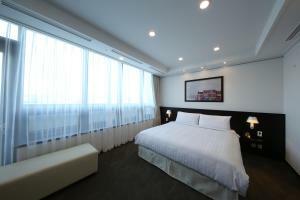 Orakai Insadong Suites, is only a 10-minute walk from Jogyesa Temple. There are various restaurants and traditional teahouses around the hotel. Incheon International Airport is an hour away. Orakai Insadong Suites has been welcoming Booking.com guests since 4 May 2010. When would you like to stay at Orakai Insadong Suites? 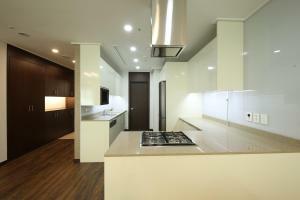 Located on levels 3 to 13, this fully-furnished apartment comes with a living room, kitchen, and dining area. Room includes 1 extra large double bed and 1 bathroom. This apartment comes with two bedrooms, two bathrooms and a separate living room. Room includes 1 single bed and 1 extra large double bed. A large apartment with spacious interiors, featuring two bathrooms and a separate living room. This room type can accommodate 1 extra bed. Charges apply (see policy). Please note that 1 room does not have a window and 2 rooms come with windows. Located on floors 3 to 13, this apartment offers spacious interiors, featuring one bathroom and a separate living room. The apartment includes 1 single bed and 1 extra-large double bed. A bedroom has no windows. Located on floors 3 to 13, this apartment contains a separate living area with three bedrooms, two bathroom and a study room. Rooms include 1 extra-large double bed with a bathroom, 2 single beds, 1 single bed and a day bed in study room. Please note that the study does not have a window. This apartment has a satellite TV, CD player and DVD player. Fully furnished apartments come with a living room, kitchen, and dining area. Room includes 1 extra large double bed and 1 bathroom. 오라카이 인사동 스위츠에는 고객 여러분의 안락하고 편리한 생활을 위한 모든 것이 준비되어 있습니다. 기능과 아름다움이 완벽하게 조화된 베드룸 스위츠와 팬트하우스, 고객의 편리한 생활을 위해 준비된 최고급 설비와 편의시설은 오라카이 스위츠만의 자랑입니다. House rules Orakai Insadong Suites takes special requests - add in the next step! All children under 6 years are charged KRW 77000 per night for extra beds. All further older children or adults are charged KRW 77000 per night for extra beds. 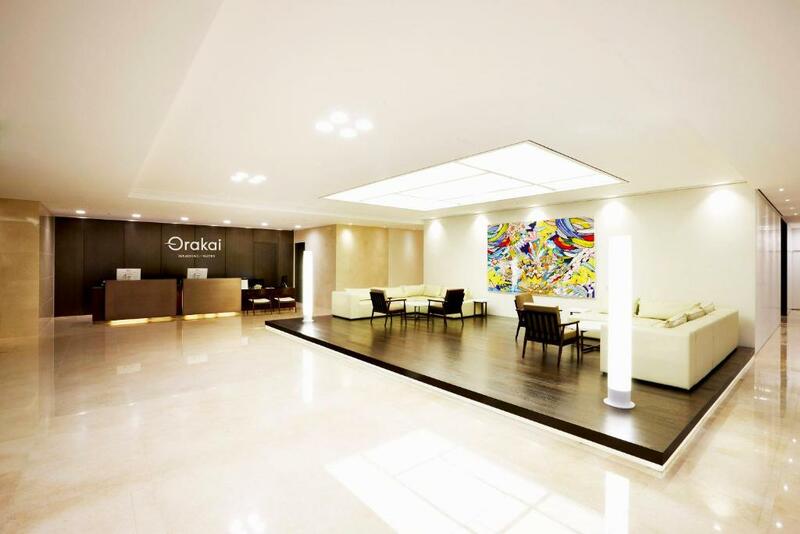 Orakai Insadong Suites accepts these cards and reserves the right to temporarily hold an amount prior to arrival. All guests must provide the same credit card used during the booking process or another credit card of the same card holder at the time of check-in. Guests must present a valid passport and/or a government issued ID to process the reservation. Guests must meet the above conditions for check-in. Please contact the hotel in advance if the above conditions cannot be met. The operating hours for the swimming pool and sauna is from 06:00-22:00, while these facilities will be closed the 2nd Tuesday of every month. For more information, please kindly contact the hotel directly. Please note that housekeeping service is available on weekdays only (excluding Saturdays, Sundays and Public Holidays) and this does not include dish washing services. Internet is available in the hotel rooms and costs KRW 15000 per 24 hours. 2 IDs and passwords are provided for up to 2 devices. For stays over 3 nights, internet is available in the hotel rooms and costs KRW 40,000. 2 IDs and passwords are provided for up to 2 devices. Guests can request for breakfast at an extra cost only upon check-in at the front office. Please note that for stays up to 2 nights, full rental will be charged. Early check-out policy does not apply to non-refundable bookings. For stays from 3 nights up to 14 nights, early departure notice must be received 2 days prior to departure, otherwise pre-termination fee of the remaining days of the original stay will be charged. For stays from 15 nights to 30 nights, early departure notice must be received 7 days prior to departure, otherwise pre-termination fee of 2 week’s rental will be charged. Please note that the number of guests staying in each apartment should be according to the respective apartment's maximum occupancy and extra guests are strictly not allowed. They are no toiletries but I guess I can't compare them to Ascott Suites. Breakfast is limited. The rooms were large and very well organized. Just beautiful really. We were really impressed. Hotel is so stingy! They cut corners on every little thing, whether it’s internet access, soap in the room, bagels at breakfast, etc. my wife sat in the breakfast restaurant and they tried to charge her for eating Starbucks food purchased outside the hotel (as we had 5 people and were informed on multiple occasions that we’d have to pay for an extra bfast). Definitely not up to Western chain standards which give liberally to guests. I’ll be staying at Marriott or Hilton next time. Modern design, rooms are spacious , gym is very well equipped . Kitchen has all required equipments. Staff is very polite, helpful and professional. Coffee shop in the same building and they offer 10% discount for residents. Very good and high speed WiFi . Very good for families . Breakfast was terrible, especially for that price. I thought paying extra for 3 children to stay in a 3 bedroom apartment was a bit over the top as well. The in-room wifi was weird as well; only two unique devices can connect in a room for 5? Going into my reservation, I had some concerns regarding the staff and breakfast based on some of the reviews I’ve read prior to the trip BUT WOW! I absolutely loved our stay and experience here. The location is excellent as there are many restaurants near by & LOVED the fact it is right next to Insa-dong street with vendors. The location is so excellent that all other cities, like myeongdong and Gangnam are all within 20-30 min subway rides from each other. I absolutely loved where the hotel was located. The hotel itself was beautiful & so comfortable. We stayed in the two bedroom apartment and the hotel staff always made sure we were taken care of and always restocked with clean towels every day. I would definitely stay here again!!! !